The Islamic State (IS) has used chemical weapons on numerous occasions in Iraq and Syria, including in the battlefield in northern Iraq, according to Iraqi and US officials. BAGHDAD: Twelve residents of the war-torn Iraqi city of Mosul were treated for injuries from a suspected chemical attack this week, an official with the International Committee of the Red Cross said. The patients, who are being treated in hospital in nearby Irbil, are "showing clinical symptoms consistent with an exposure to a blistering chemical agent", the organisation's regional director for the Middle East, Robert Mardini, said on Friday. The five children, three women and four men have symptoms that include blisters, coughing, redness in the eyes, irritation, and vomiting, CNN reported. "The use of chemical weapons is absolutely prohibited under international humanitarian law. We are deeply alarmed by what our colleagues have seen, and we strongly condemn any use of chemical weapons, by any party, anywhere," Mardini said. Lawan Miwan, head of Emergency Hospital in Irbil, told CNN that he was treating two cases with symptoms consistent with exposure to a toxic chemical agent. Two residents of east Mosul reported smelling "something strange", "like a chemical agent" or "mustard gas" following mortar attacks on Wednesday and Thursday. They said the attacks came across the Tigris River from western Mosul. 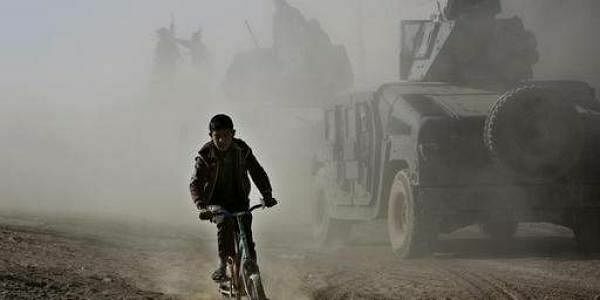 The World Health Organisation (WHO) has responded to the reported use of chemical weapons agents in eastern Mosul, activating an emergency response plan to treat those who may be exposed to the highly toxic chemicals, the WHO said on Friday. This is believed to be the first such attack in Mosul since the October start of the offensive to retake Iraq's second most populous city from IS control.